"Christmas Times A Comin'!" with Sherwin and Pam Linton! 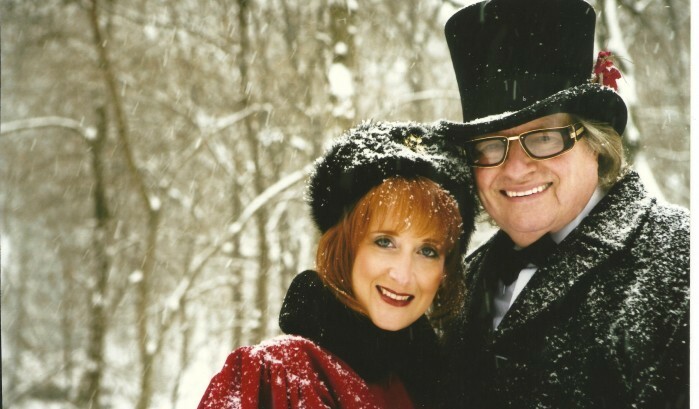 The Redlin Art Center is proud to present The Sherwin & Pam Linton Christmas Show on Friday, December 6, 2019 at 2 p.m. and 7 p.m. From the opening lines of the classic Bill Monroe Bluegrass song, “Christmas Times A Comin’!” to the show’s closing number, “Merry Christmas Day”, The Sherwin & Pam Linton Christmas Show has deep roots and is well steeped with holiday spirit and tradition. Sherwin is a 63-year entertainment career veteran. For over 35 years, he and his wife Pam and their band “The Cotton Kings” have performed holiday Christmas shows throughout the Midwest. The show includes a great variety of holiday favorites drawn from Sherwin and Pam’s vast repertoire developed through the years. With beautiful costuming, a brightly lighted colorful stage setting and Sherwin and Pam’s flair for comedy and humor, this show has become a holiday tradition. Tickets are $15 per person and are available today. Call 605-882-3877 now to reserve yours!